When we think of medical care, we often think about the health aspects of it and the people involved in treating it such as doctors and nurses. However, medical facilities such as hospitals, clinics, and nursing homes are also very much business offices and therefore involve other staff. Medical customer service is a growing industry day by day and more people are making a career of it. 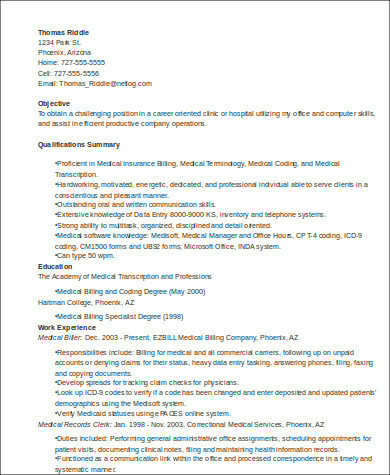 To get a career in medical customer service, you need to have a compelling resume that grabs the attention of the reader. 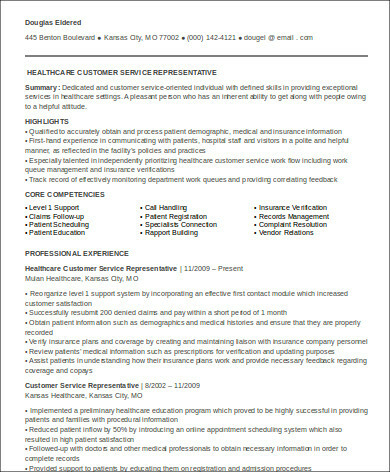 Our medical customer service Sample Resumes completely understand this need and are perfect guides in crafting a resume that gets you the job. Resumes can come in various shapes and sizes depending on the job title and the industry it is in. When making one, it is often hard to think about what goes into it. Medical customer service workers are often confused with medical assistants but these two are different. 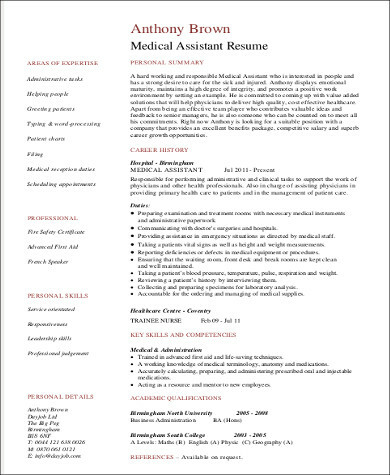 If you are looking for Medical Assistant Resumes, click on the link. 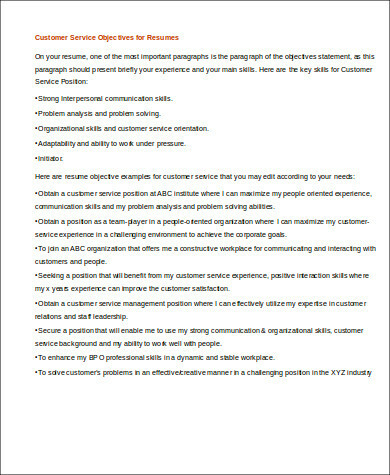 There are different elements that should be present in a resume and the ones needed for medical customer service are listed below. Personal Information – Include your full name and address. Make sure also that the contact numbers and the email address you listed are the current ones you use. Professional Summary – Make a pitch to your potential employer here by stating why you are the right person for the job by citing your skills and experiences. 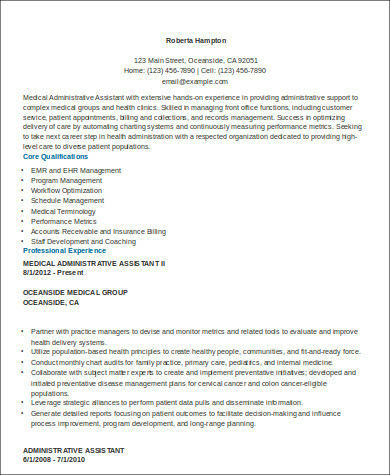 Areas of Expertise – Some areas you can place here as a medical customer service worker include insurance verification, complaint resolution, and vendor relations. Professional Experience – Include here all your related work experience. Education – State the school you attended and the degree that you earned. It is also a good idea to include here certifications that you received while in school. Training – Include all the training where you have gained relevant experiences. When you are entering an industry that is too saturated, such as the job market for medical customer service workers, you would need a resume that makes you a front-runner ahead of all other candidates. Here are some tips you can use when making your own resume. Make a strong first impression. The professional summary is often one of the few things a recruiter reads in a resume. Make sure to include all the skills and experiences that make you right for the job and have a good first impression. Use action verbs in your work experiences. Using action verbs would show the recruiter that you are a doer. Action verbs that are relevant in the medical customer service field include implemented, assisted, collaborated, recorded, and so on. Be truthful. Any lie you put in your resume is bound to bubble up the surface at some point. Be sure to only include the truth in your resume. The health-care field encompasses a number of professionals. 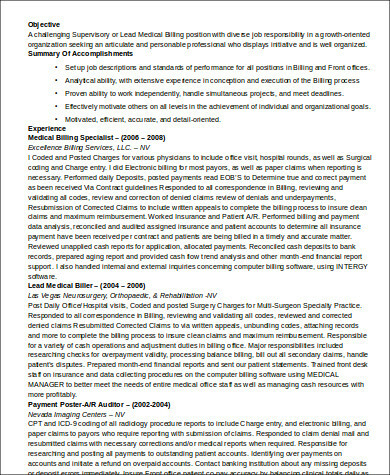 Biomedical engineers need to check our Biomedical Engineer Resumes. Medical customer service workers, on the other hand, can check this samples list. 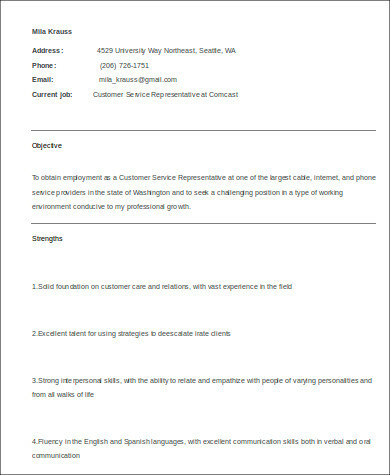 These sample resumes are great tools in head starting a career in this field.